It’s hard to find much to latch on to in this likeable but slightly animation. When you were tiny and screamed at the sight of a spider or other creepy crawly, your parents probably told you it was more frightened of you than you were of it. The same, apparently, applies to sasquatches and humans. 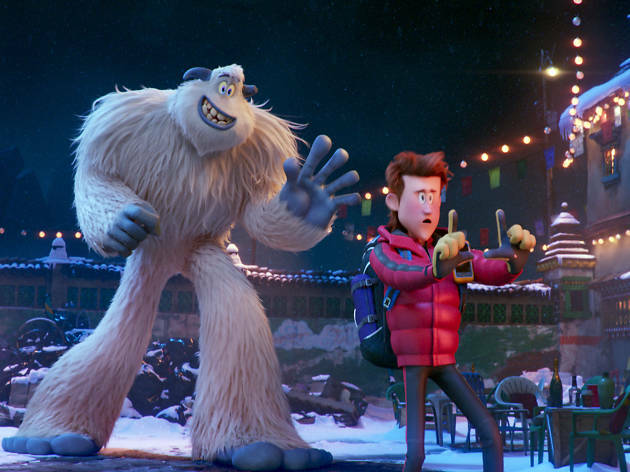 In ‘Smallfoot’, not-so-abominable snowmen, and women, live at the top of a mountain. They hear mythical tales of vengeful little people living far below, but their village elder dismisses it as nonsense. Of course, one young sasquatch ventures further than he should and discovers humans. Beings both large and small learn that the other is not nearly so bad as they feared. Karey Kirkpatrick and Jason Reisig’s film goes everywhere you’d expect it to but it has pace and doesn’t outstay its welcome. Its starry voice cast – Channing Tatum, Zendaya, Danny DeVito, James Corden – does good, enthusiastic work. 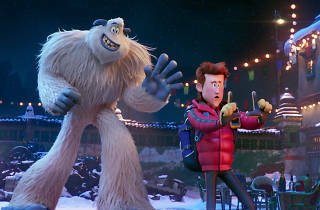 There are a few hits of weirdness that the film could have used more of: the snowpeople hear human voices as a squeaky babble; a chase through the streets of a mountain village is staged like a game of Pacman; the sasquatch creation story involves giant snails and pooping buffalo. It would have been nice to see it bring out that personality more, letting its oddness run riot, but it more frequently slips into standard template stuff, with forgettable songs and characters we’ve seen a hundred times before, albeit less furry. It’s a shame as the set-up lends itself to silliness and surrealism. It’s completely fine, and if you’re just looking for a distraction for small people, it will entirely do the trick, but ‘Smallfoot’, for all its size, makes only a little impact.